Home Business Economy & Politics Where Does Donald Trump’s Support Come From? Where Does Donald Trump’s Support Come From? 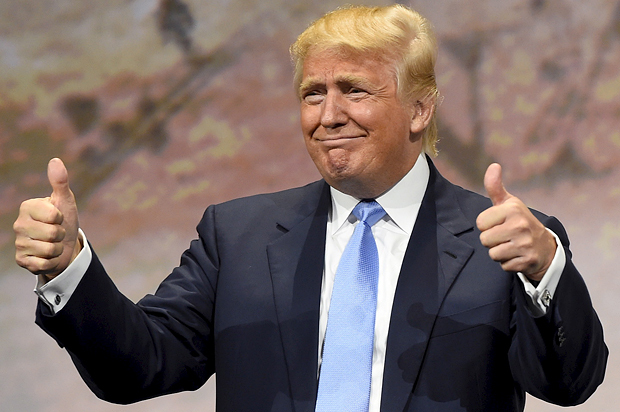 There’s certainly no shortage of controversy surrounding Donald Trump. A man who was once nothing more than a hard-nosed industrialist with a reality-TV show has, for better or worse, become a significant voice in domestic U.S. politics. This man who—it is often forgotten—was once a left-leaning Democrat, now espouses some of the most far-right opinions of any contender in the Republican primary race. Even before the formation of the Tea Party, the voice of the American far-right had been growing. Is it any wonder, then, why Trump has garnered so much support? Even still, his rise to prominence confounds some. After all, there are other 2016 contenders in the Republican field who hold identical views to Trump’s on a number of issues—without all of the brashness. But it’s not just Trump’s quasi-nationalist ideas that keep his campaign going; there is also a considerable cult of personality. Indeed, Trump’s brash, boisterous, insult-hurling persona may be partly responsible for his success. But some political commentators believe there’s a less subtle reason for Trump’s flash of fame. To them, Trump resonates with a portion of the population that is absolutely terrified by one thing: demographic shift. In other words, strong anti-immigration sentiment in parts of the country are driving Trump to the top of the polls. “Donald Trump’s success is no surprise,” opines Thomas Edsall, American journalist and academic with the New York Times. “The public and the press have focused on his defiant rejection of mannerly rhetoric, his putting into words of what others think privately,” he continues. A Washington Post article by Michael Tesler presents survey data which seems to back up Edsall’s editorial. Just how anti-immigrant is Donald Trump, anyway? In a written statement, Trump clarified his position on immigration—and, as is to be expected, drew a lot of ire in the process. “The Mexican Government is forcing their most unwanted people into the United States,” he wrote. “They are, in many cases, criminals, drug dealers, rapists, etc.” This is the source of the infamous ‘Mexican rapists’ comment that would spark controversy among liberals and conservatives alike. Despite Trump’s contention that he is only looking to halt illegal immigration, further examination reveals that the rhetoric extends into the fringes of xenophobia. His campaign’s reaction to the U.S. plan to accept Syrian refugees from the United Nations demonstrates this tendency. Indeed, many followers of Trump seem to feel that even those who enter the country legally do so with too much ease—a contention with which the country’s immigration attorneys might disagree, but the sentiment sticks, nonetheless. In all, Trump’s candidacy seems to be a perfect storm comprised of good timing, an entertaining persona, and never-ending coverage by the media. In any case, there’s little doubt that Trump doesn’t know what he’s doing; and so long as he’s doing it, there will be people at his rallies cheering him on.